"[Thursday] we went to court on the case of Gregory Guest. He is 50 years old. He has 9 prior convictions including at least 2 prior felonies. This is important because his extensive criminal history bumped these 2 burglary cases up to Class X felonies. The law states that people who are found guilty of Class X felonies must be sentenced to between 6-30 years. There is no other option open to a judge. This case was heard in the courtroom of Judge Thomas Byrne. This case is about 3 bikes he stole from a building's garage on the 4000 Kenmore block in June '15. He stole them from different people in the same building. He was caught in the act by a security camera facing the alley. When the police detectives saw the footage they recognized him from his previous crimes. He was arrested on 6/30/15 and has been in jail ever since. He put 1 of the bikes in someone's yard for safekeeping. That bike was recovered. The other 2 he said he sold to 'someone in a white pick-up truck' for $6 or $7 each. They were not recovered. Instead of a trial, he plea bargained and pleaded guilty in exchange for (2) 9-year sentences. They will be served concurrently instead of consecutively. 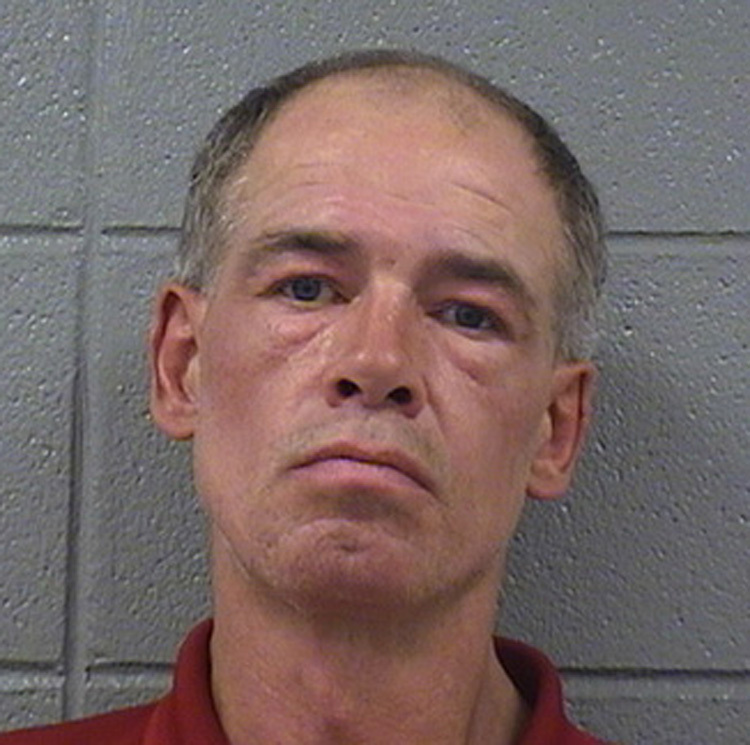 He will get credit for 172 days spent in Cook County Jail between the times he was arrested and convicted. After his prison term is over, he will be on supervision (parole) for a minimum of 3 years. These are harsh penalties but they were mandatory under Illinois law because of his criminal history. The 19th District Court Advocates are following cases involving people accused in the Weiss Plaza drug bust, the person who is accused of murder at Uptown Baptist Church in 2013, the person accused of criminal sexual assault on Sheridan, and the 2 remaining defendants in the murder of Yolanda Holmes in her apartment at Wilson Yard. 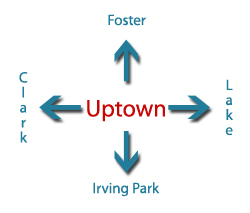 Plus we follow other 19th District cases that took place outside of Uptown. If you are interested in becoming a court advocate please join us at our monthly meetings at 6:00 P.M. on the last Monday of each month." Update: A reader made us aware of the incarceration record of Mr. Guest, which is a matter of public record. With his criminal history, mandatory sentencing guidelines exist. The judge had no leeway or discretion. OMG...I know this guy! He was caught stealing bikes from my building at 933 W. Sunnyside Ave. He was also seen riding around here on a DIVY bike...saw him a few times with his cronies when I would go shopping on the weekends as I work full time downtown. He is a mess and am glad he's been caught. He's a bad guy for many reasons. Cursory check of the web shows his criminal record goes back to at least 1990. My guess is well before that. I refuse to hyperlink. Thpppt. The haircut he received in county jail is a nice touch though. Makes him look less mopeish. Most idiots age out of crime. Not this guy. For those who think that's a harsh punishment for stealing bikes I not so humbly disagree. This guy was breaking into buildings apparently. Now his mugshots show him being somewhere over 6'0" tall. Imagine him running into some small female while doing this. As my Irish ancestors might say "Sayonara Sucker". Does the other existence of small females make his crime more heinous? I don't believe he has any history of crimes against person, only against property. Just because he was a thief does not make him violent, George wouldn't hurt a fly. He is a sick man, he has mental health problems, and the last thing that's going to help him is prison. It ain't his first trip to the rodeo. He's served nine --- NINE! --- prison terms. He's not someone who learns from his mistakes. At least people in Uptown won't have to worry about him breaking into their homes and garages while he serves his tenth stint in prison. bull!...he is a thief and we taxpayers are fed up with him and all thugs. prison is a hotel for them! That suggests this one won't help eithernandvthat he has a deeper problem. Little you know about prison, Mike, I doubt ANYBODY considers ot a hotel. Yeah, a hotel... For 18 years. I think it's pretty obvious that the reason he continues to go back to prison and not learn from his mistakes is that he has a mental disability, like I stated before. Yeah, no one has to worry about him, he'll be dead by the end of those sentences. It makes me very sad. He's not the monster everyone is making him out to be. I know he's a theif, but he's getting a longer sentence than a lot of criminals that do a lot worse. I guess I'm just defending George because I know no one else will. Hmm. Prison won't help him because he has a mental disability. But we must not lock up mental patients, either--they have to be part of the community, according to mental health advocates. Yet, without supervision, people like George continue to victimize the very communities that are brainwashed into believing that they have to let mentally-disabled criminals live amongst them. I'm sorry, but I don't want someone waltzing into my home to steal my property...and since it's considered "inhumane" to confine the mentally-disabled for close supervision, I guess the only answer is to prosecute them and lock them up. Doing nothing--including "feeling sad"--is not an answer, and too many criminals start out with people insisting "he's NOT violent!! ", only to discover later that they're responsible for assaults, rapes, and murders. How many congenial serial killers have we seen described by friends, families, and neighbors as "nice" and "well-adjusted"? When do we stop making excuses for people who don't deserve them and start doing something to protect the surrounding community from the damage they do? If George can't be successfully and consistently treated for the long term to solve his problems that lead to criminal tendencies...then he NEEDS to be locked up where he won't be doing more damage. Yeah, brainwashed... Because I think the mentally disabled could benefit from something other than prison. Everyone is just judge, jury, and executioner these days. No matter what I say, your mind isn't going to change, he's a piece of trash to be thrown away. I see him as a person though, and I know him much more than you would ever try, so yes, I'm sad that he's being imprisoned, for what is likely, the rest of his life. Bear, has anyone TRIED to treat or help him or do they just leave him to his own device, set him up to fail, as it were, let him drop dead for all they care. Your self indulgent, "live and let die" philosophy has no validity. I see AmericanLt is back with his years long performance art. To answers a question directed at me breaking into a place where there is a higher likelihood of encountering an actual human being is more heinous than stealing a hubcap off the street. Also let's face facts here he's not doing time in the crossbar motel because he stole three bikes. He's doing time because of his record of the past 25 years plus. Now no one here has said it, but I believe Greg or George or whatever he calls himself lived under one of LSD bridges. Apparently he missed the latest campaign to give those folks tents because he was in jail awaiting sentencing. Now I'm going to digress a bit, but there's a lesson here. Last week the University of Chicago announced they're building a Level 1 Trauma Center in Hyde Park. People celebrated this as a victory and it is a victory of sorts, but it's like putting a bandage on a gunshot wound. 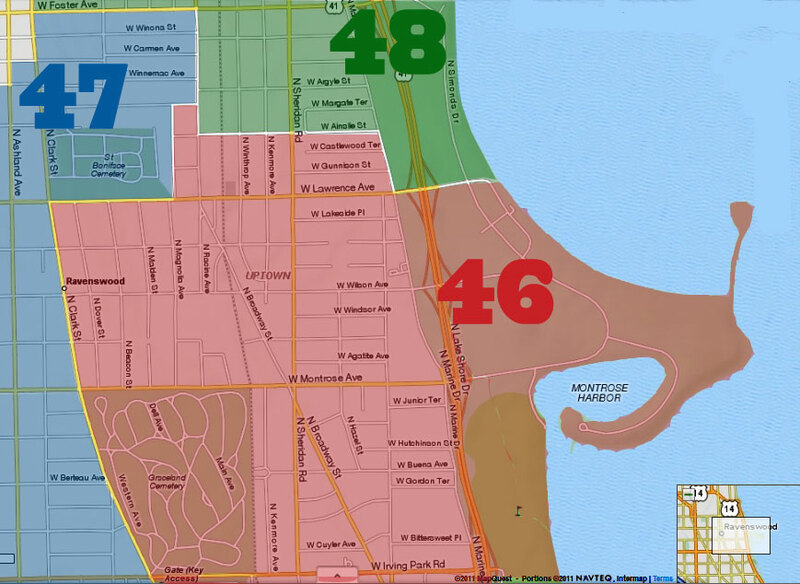 The need for the center is largely driven by gun violence on the south side. It would be better to reduce the gun violence, but in the meantime the center is needed. Would it be better if Mister Guest received adequate mental health care. Yep, but I believe he hasn't availed himself of the limited opportunities for such care over the years. Some mentally ill folks prefer living under a bridge than being forced to change their behavior. Until we change the system Mr Guest belongs in prison. Even if we did change it he might belong in some type of supervised setting. He may be incapable of acting decently without supervision or forced medication. Some well meaning activists talk about the rights of the seriously mentally ill to reject care. To them it's all about "freedom" and nothing about dare I say "responsibility". No neighborhood should be an open air asylum for the mentally ill. That's what EVERYBLOCK is for.